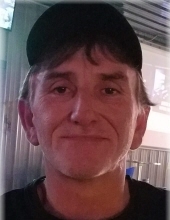 Gregory Lee Siler, age 45, of Junior Rowland Road, Williamsburg, Kentucky departed this life on Friday, March 15, 2019 at Baptist Health in Corbin. He was born on February 8, 1974 in Corbin, Kentucky to Joe Siler Sr. and Janis (Fields) Siler. He was preceded in death by his sister, Tabitha Jenkins. He loved motocross, fishing, sport cars, dirt bikes and spending time with his family. He is survived by his wife, Lisa Siler of Williamsburg, Kentucky; three children, Dakota Siler, Aiyanna Ashenfelter and Desirae Siler of Williamsburg, Kentucky; grandson, Phoenix Siler of Barbourville, Kentucky; his parents, Joe and Janis Siler of Williamsburg, Kentucky; two brothers, Gary Siler (Jody) of Woodbine, Kentucky and Joey Siler Jr. of Williamsburg, Kentucky; sister, Angela Siler of Williamsburg, Kentucky; several nieces and nephews; and a host of other family and friends to mourn his passing. Visitation will be from 11:00 A.M. until the funeral hour on Wednesday, March 20, 2019 at Croley Funeral Home. The Funeral Service will be at 1:00 P.M. Wednesday, March 20, 2019 at the Croley Funeral Home Chapel. To send flowers or a remembrance gift to the family of Gregory Lee Siler, please visit our Tribute Store. "Email Address" would like to share the life celebration of Gregory Lee Siler. Click on the "link" to go to share a favorite memory or leave a condolence message for the family.